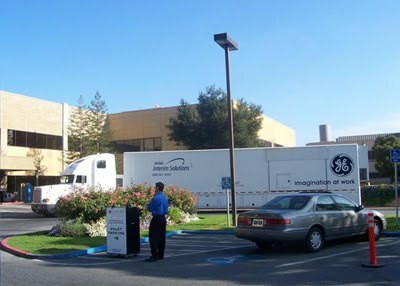 Mobile MRI rental Mobile CT rental, Mobile PetCT rental, can be parked and fixed-site diagnostic imaging solutions with a focus on patient care and building long-term relationships. Our commitment is to provide your facility with industry leading mobile solutions to ensure your scanning needs are met. Our “State-of-the-Art” technology supported by our dedicated Customer Service guarantying efficiency when it is needed most. We offer a well-balanced combination of diagnostic imaging tools to assist you in boosting your current health care offerings. 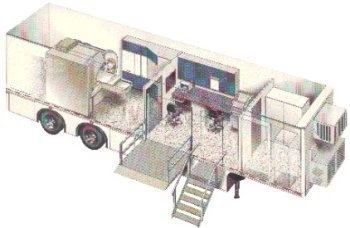 Our services encompass turnkey solutions for all your mobile MRI and PET/CT imaging needs. Whether you are looking for basic or full-service scanning solutions, have long-term or short-term needs, you can rest assured that we will listen to you and create an offering best suited to your operational environment. Our services reach beyond the traditional mobile products such as MRI and PET/CT; we offer turnkey solutions that include imaging equipment, staffing and comprehensive operations management. Or if you simply need a parked imaging equipment solution, we can fulfill your specific request. In either case, we will help you reach your full business potential! Insight Imaging is here to serve your imaging needs and provide you with the best possible experience. Contact us at sales@mobile-cr.com and we’ll be happy to address your questions.